Syst. mycol. 3(1): 58. 1829. Hawker, L.E. (1954). British hypogeous fungi. Trans. of the Royal Soc. Lon. ser. B 237: 429-546. Lange, M. (1956). Danish hypogeous macromycetes. Dansk Bot. Arkiv. 1: 1-84. Montecchi, A. & Mario, S. (2000). Fungi Ipogei D'Europa. Associazione Micologica Bresadola: Trento, Italy. 714 p.
Pegler, D.N., Spooner, B.M. & Young, T.W.K. (1993). 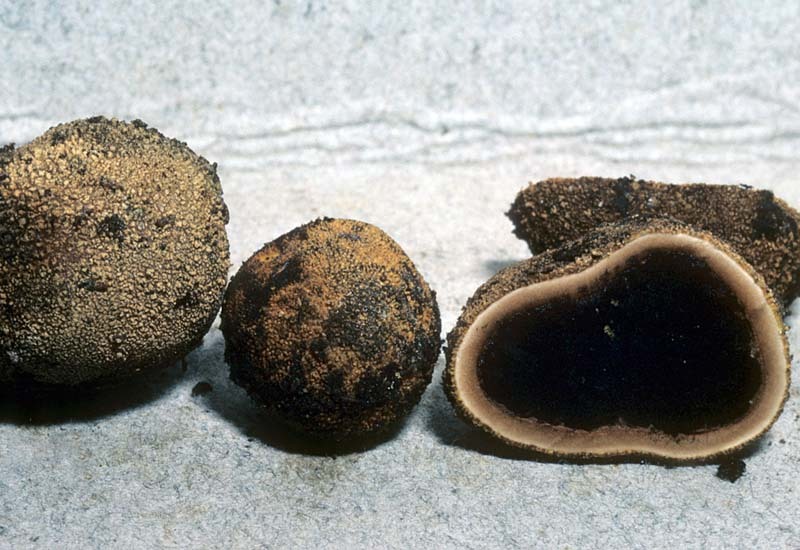 British Truffles: A Revision of British Hypogeous Fungi. Royal Botanic Gardens: Kew, England. 216 p.